Writing a thesis paper needs a lot of requirements before someone could tell that it is of good quality. There are certain steps to follow before you could get an A+ in your thesis paper writing. In order to achieve good results, you have to invest enough knowledge along with the right attitude. So in writing a thesis paper, you also have to exert more effort and have more patience. But there’s a question, how to write a thesis paper of high quality? There are seven basic steps on how to write a thesis paper that will stand out. Choosing a topic for a thesis paper is not easy. You have to pick the topic that seems interesting to the readers. And if you also like the topic, you are more likely to put much effort and eagerness in writing the paper. So in choosing a topic, don’t go for something that is impossible to handle. And don’t choose a topic which you think will give you a hard time looking for resources. It is no longer difficult to do a research nowadays since a lot of sources are available on the Internet. All you have to do is to surf. But you don’t always have to rely on the web. There are lots of printed materials like almanacs which are also of great help. Just make sure that your resources are up-to-date. And don’t also forget to get the information needed for your bibliography. Writing the thesis statement needs critical thinking. You have to make a single statement in a sentence form out of the data you have gathered. 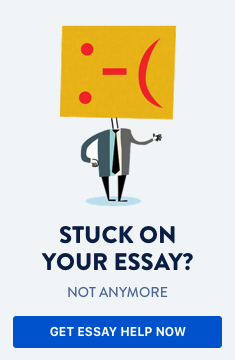 Your thesis paper should then support the thesis statement you raised. Making an outline keeps you on track on how your thesis paper should flow. All points in your outline must support the thesis statement. Your first outline will not necessarily be the final one. You are free to change it along the way. Organize the data you have gathered based on your outline. Brainstorm if necessary. Irrelevant information should no longer be included in your paper. Differerent insights could only be considered if it supports the thesis statement. And do not copy the information word-for-word. Expand it in your own way. The thesis statement should be stated in the introduction. Intro should also state the purpose and significance of the study. It must briefly explain how you plan to approach the problem and must be interesting enough to catch the reader’s attention. The body then should comprise the information that supports the thesis statement and will be summarized in the conclusion. After your first draft, you still have to proofread the whole paper and correct the errors. A good thesis paper won’t do with a single draft only. Once done, you can then type the final paper. In order to achieve something worthy, you have to invest enough knowledge together with the right attitude. So in writing a thesis paper, you also have to exert more effort and have more patience. Just follow the given steps, and you will surely find thesis paper writing easier than you thought.